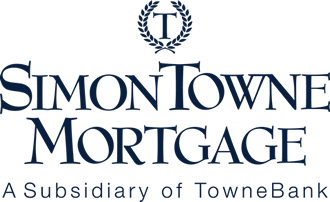 TowneBank Mortgage, a division of TowneBank, has now made the home loan process even easier by welcoming SimonTowne Mortgage. This organization is a full-service lending group with experienced staff and valuable resources that simplify the process of purchasing a home. Loan officers can help buyers from anywhere in Hampton Roads, even if they aren't represented by real estate agents. Specialties of this beneficial mortgage group include securing VA loans, obtaining FHA loans and helping first-time buyers. SimonTowne Mortgage is the hometown lending source for southeastern Virginia; come experience the difference. TowneBank is a well-respected banking institution that serves the residents of the greater Hampton Roads area. This bank has branches from Corolla, North Carolina, across the region and up to York County on the Virginia Peninsula. This hometown bank has a knowledgeable staff who can help customers open business or corporate accounts, manage personal accounts, make sound investments, buy insurance and more. TowneBank Mortgage, a subsidiary company, has connected many clients over the years with home loan programs that fit their needs. It was in this attentive spirit that SimonTowne Mortgage was created. Why stop at helping some people when many more can be helped with the addition of another organization aided by TowneBank? The veteran staff at SimonTowne Mortgage has years of experience they use to help each homebuyer get the right home loan. Loan officers and supporting staff, such as underwriters and processors, came directly from TowneBank Mortgage where they had successful track records. The vice president of SimonTowne Mortgage is Sherry Reid. This mover and shaker is eighth in the entire nation for VA loan originations. * Now that number speaks for itself. Brad Schloss is another loan officer who works at this organization and knows how to get buyers into the homes they want. Communication and clarity are top priorities for these professionals when they deal with clients. SimonTowne Mortgage offers a full array of loan services with the caring touch clients have come to expect from TowneBank. First-time buyers have nothing to worry about when they talk with these lenders. Loan officers can review FHA and other programs that are available for those purchasing a home for the first time. Military buyers have come to the right place too, as VA loans are another specialty here. Buyers who are building can even get construction-to-permanent loans. Refinancing is easy with the help of these friendly loan officers. If you like TowneBank Mortgage, you'll love SimonTowne Mortgage and how their staff takes care of your all of your home loan needs! *This figure is accurate at time of publication but is subject to change.